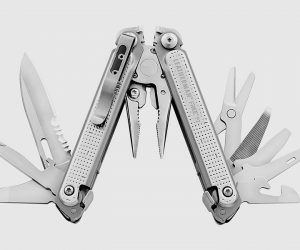 The multi-tool, redesigned from scratch, the Leatherman Free Collection is yet another legendary range in the making. The newly evolved deigns sees the tools affixed to the outside of the handle–held by magnets–for easy one handed operation using your thumb or the flick of a wrist akin to opening a butterfly knife. Keychain friendly illumination this may be, but it throws out an abundance of light and attitude. 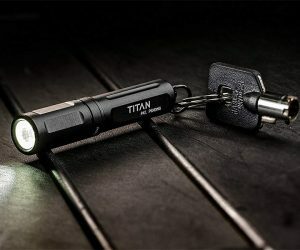 Just three inches long and weighing less than an ounce, the SureFire Titan Flashlight is forged from aerospace aluminum with a military grade finish while firing out a high-powered beam good for close to medium range tasks. 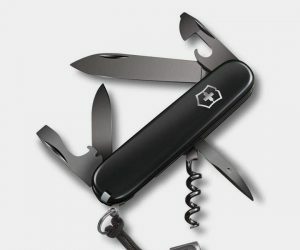 Another classy offering from the most iconic of multi-tool makers, the Victorinox Swiss Army Spartan is equipped with 12 functions including a large and small blade, corkscrew, driver and bottle opener, while its stainless-steel construction is ensconced within a durable case. We especially like the one that looks like it was designed for Batman owing to its matte black finish. 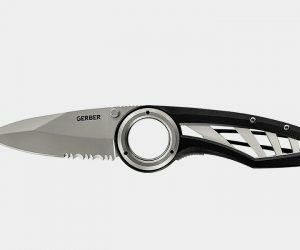 The Gerber Remix Knife combines functionality and style in a simple design. The lightweight Remix features a 3″ serrated blade made of surgical stainless steel and a titanium nitride coated aluminum handle that resist corrosion. Its open pivot design allows the use of the fingers to maintain stability and grip. Available in a range of extendable lengths, beginning at 39 inches, the Snow MOOver deserves a place in your trunk. 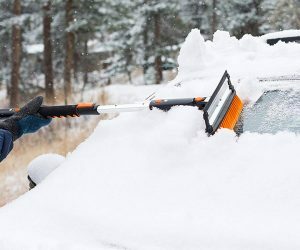 The clever design acts as a snow remover and ice scraper for your windshield enabling you to easily reach tough spots. 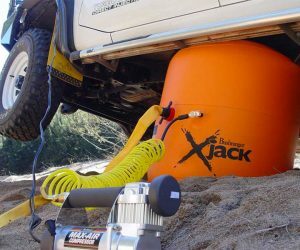 Some handy non-scratch jaws make fast work of stubborn ice without the risk of damaging your ride.